Man has been celebrating the Summer Solstice for thousands of years. Today is the longest day of the year or the Summer Solstice. 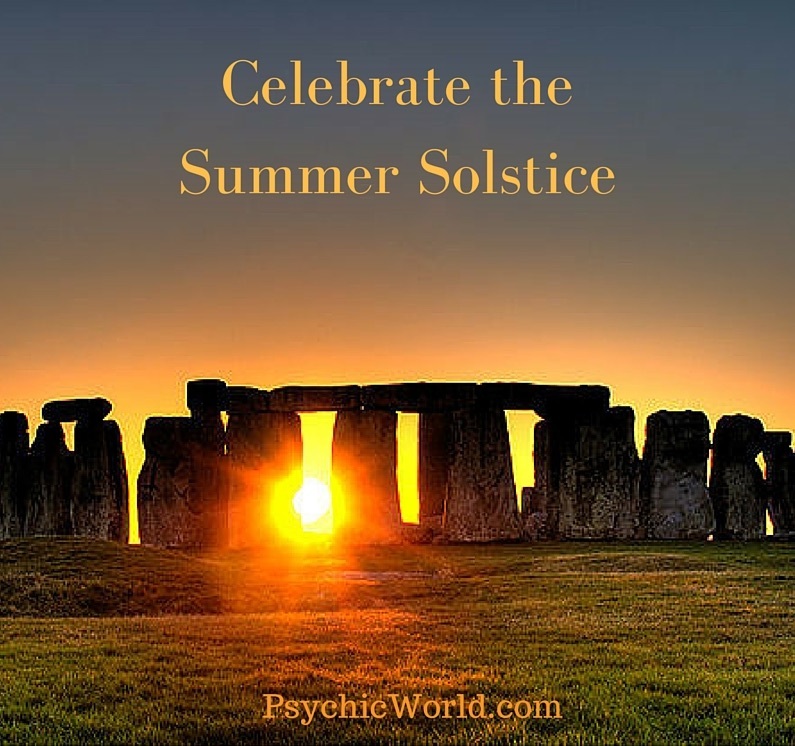 Find out different ways of celebrating the Summer Solstice. Summer Solstice, or June 20th this year, has been a highly celebrated day for thousands of years. Ancient monuments, like Stonehenge and the pyramids, were actually built in a way that acknowledges the sun's position in the sky on this day. It is the longest day of the year - the day where there are more hours of sunlight than of darkness. Some say that the veil between the spirit world and the physical world is very thin on the Summer Solstice. Some say that faeries are most powerful today as well. This isn't only a day when faeries are powerful, but when people are able to use their own powers of manifestation to help to influence their lives. Intentions set today will grow and prosper because of the special energy that the sun bestows on them. If you'd like to harness this power to make changes in your own world, you can do a few things. 1) Write down anything that no longer serves you. If you've been holding onto a relationship that isn't headed anywhere or a dead end job, write it down. If you've been beating yourself up or practicing unhealthy behaviors, write it down. After you've written down all of the negativity that seems to be affecting your life, take the paper to a safe place, like a bonfire outside or in your fireplace (your sink will work in a pinch) and burn the papers. This will help to dispell the negative energy and release it from your life. 2) Make a Vision Board. Take some time to daydream and imagine your perfect life. Then, find pictures of the things you want in life - the house you'd like to live in, the car you'd like to drive, vacations that you'd like to go on, the perfect mate... and glue them onto a big poster board. This helps you to visualize your perfect life and then you can start working to make your dreams become your reality. 3) Express gratitude for the sun and all of the positive things in your life. The sun is a symbol of positivity, a strong, masculine entity in many mythologies and ancient religions. It helps to keep things warm, the crops to grow, to lift spirits all around. When you express gratitude for the sun - for its warming rays and it being an integral part of life, you show the Universe that you are happy for the positive things you receive. If you know about the Law of Attraction, you know that the Universe responds to grateful thoughts with more to be grateful for! 4) Invite some friends over for a bonfire - and chat about your dreams with your closest friends. The Summer Solstice is all about fire, warmth, and manifestation. If you invite friends over and encourage them to share their dreams and goals around a fire, you can all support one another (adding your mojo to each others' wishes) and bring in that fire of action, energy, and progress. 5) Spend time outdoors. Work in the garden and plant some flowers that you can enjoy later in the year - or even plant a tree. Basically put, the Summer Solstice is a very high point in the celestial year and one that should be celebrated with fire and wishes. This year, you even have the chance to amplify the energy of the Summer Solstice with the energy of the Full Moon (also today). Take time to celebrate the positive things in your life each and every day - but today, especially. If you'd like to learn about using the power of the heavens to help you achieve your goals, Sue Ellis-Saller can teach you this. She'll help you figure out the best times to work on your intentions. We have a lot of fabulous readers and healers at PsychicWorld.